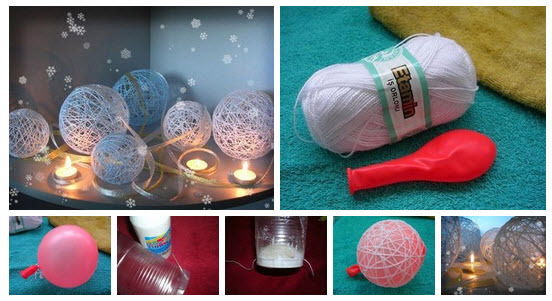 Christmas is a nice time to display creativity and crafty skills while decorating a house. Of course, you may buy all necessary decorations at a local Xmas fair or order online, still it’s much more interesting to do the ornaments by yourself. It’s not so difficult as it may seem! Besides, you already have all necessary accessories! 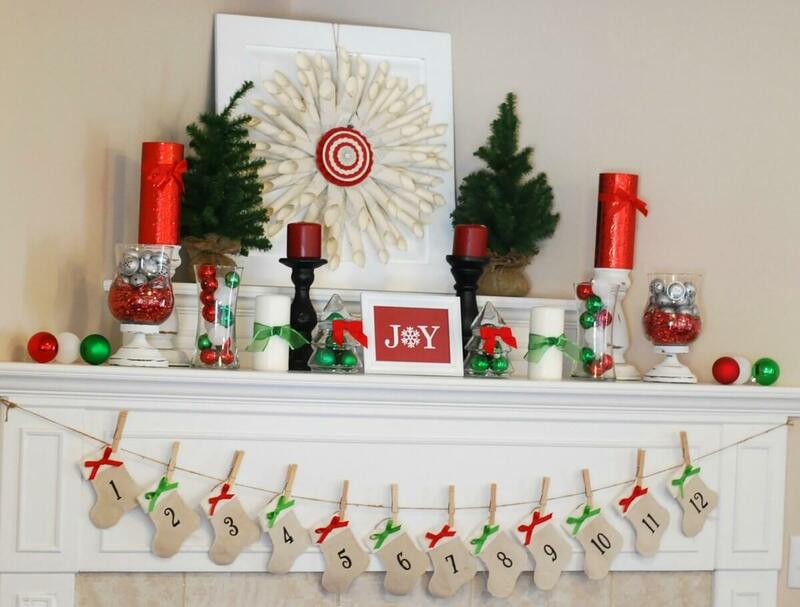 Find below the best do-it-yourself Christmas decoration ideas from all over the Web. 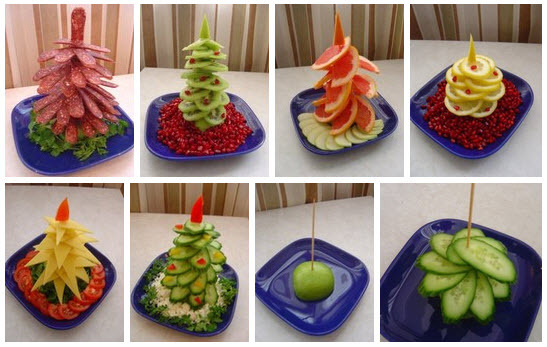 There are plenty of ideas how to present food in the form of a Christmas tree. This is one more, but VERY EASY! All you need is a couple of toothpicks, your favorite appetizers and a bit of imagination. 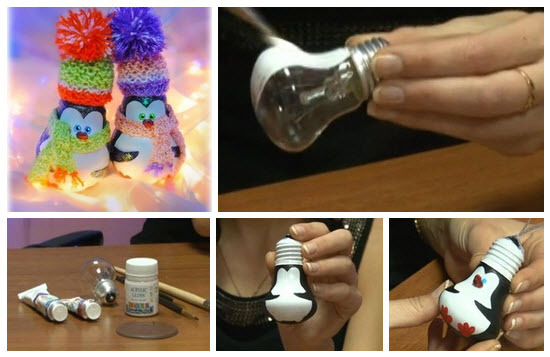 This is a good solution to make Xmas decorations and give a second life to your old socks. Needed materials: white and colored socks, rice, buttons, and bands. 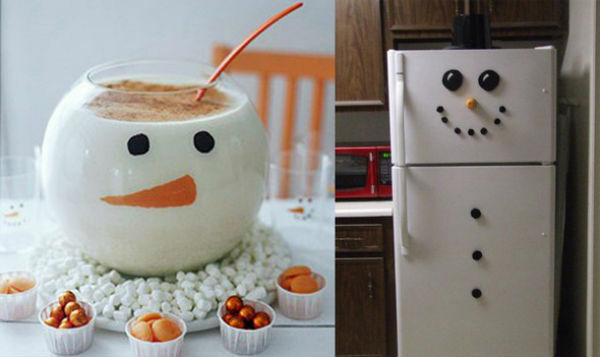 Follow the how-to to make these snowmen. 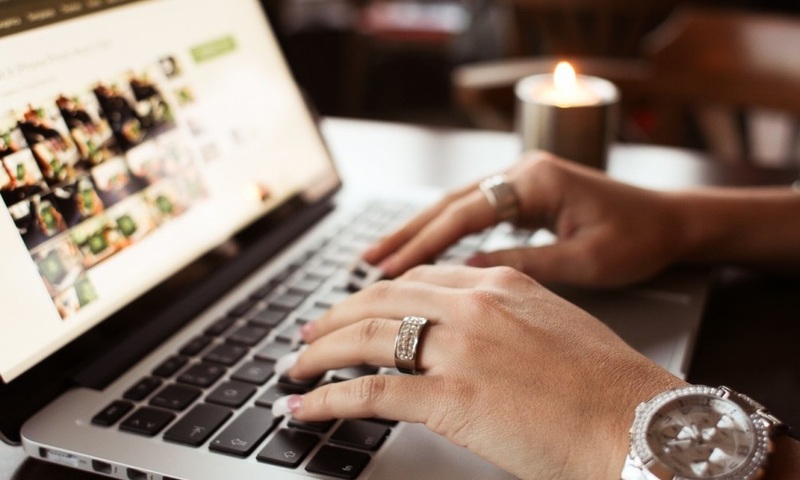 Electric garlands may be pricey, so why not make an alternative with what you have at fingertips? For example, pasta? 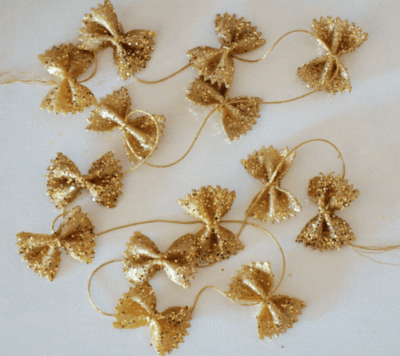 Just cover it with glitter and make a garland. By the way, after Christmas you can sell your crafts on Etsy. Everything is easy: take any white object and decorate it with eyes and nose. 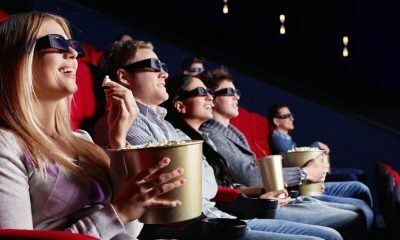 Looks very funny! This is a good way to save money on buying Christmas wreaths. 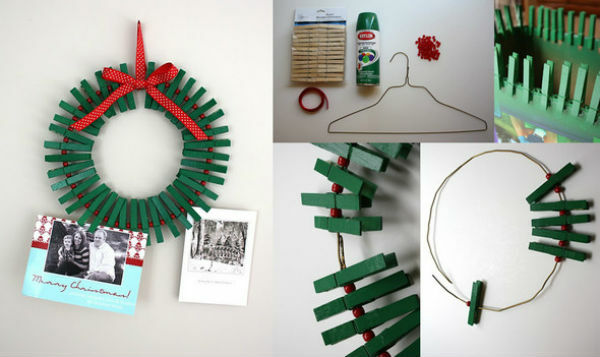 Paint old clothespins in green, form a wreath and add a red band to decorate it. 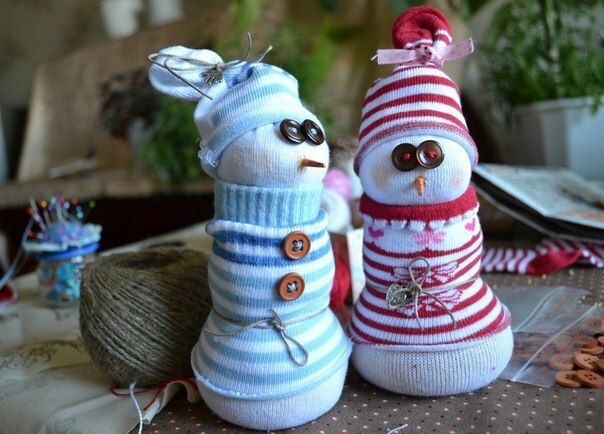 These are very attractive Christmas tree toys which can be done out of materials at hand – used light bulbs, paints, and cloth. See the tutorial how to make such a penguin. This is a funny and easy craft for kids and adults. We will need just a couple of small balloons, strings or twine, glue, a glass bowl. Put the balls in a bowl as a decorative centerpiece or string them up as a garland for your Christmas tree. Watch the video below. 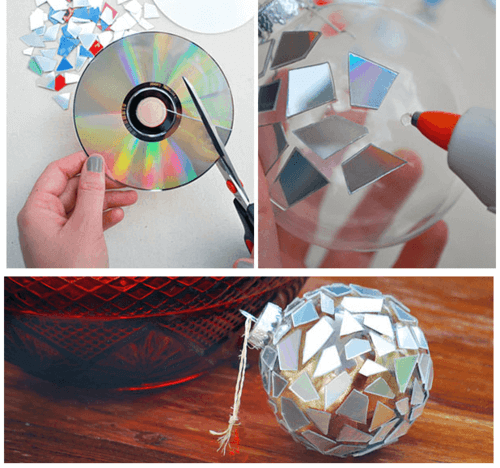 Make sparkly ornaments of useless things you’re sure to have tons of at home: old CDs. The balls look very spectacular and will definitely become the centerpiece of your Xmas tree. 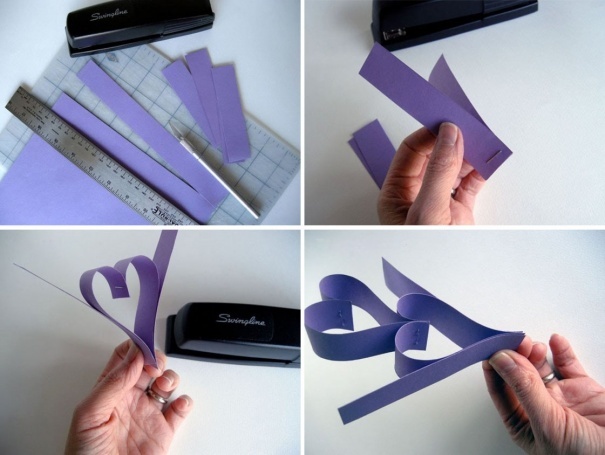 Make a beautiful garland of hearts using 10×2 colored paper strips, a stapler and your hands. Fasten the strips as shown on the image below, and you’ll get such a lovely garland which can be also used for St. Valentine day. 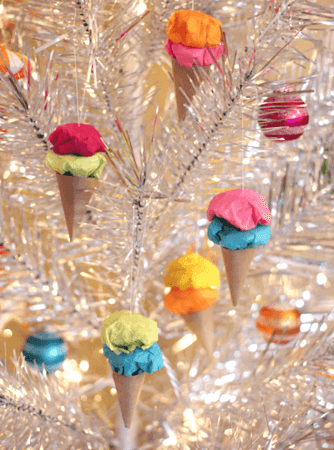 Add some sweet ornaments to your Christmas tree. 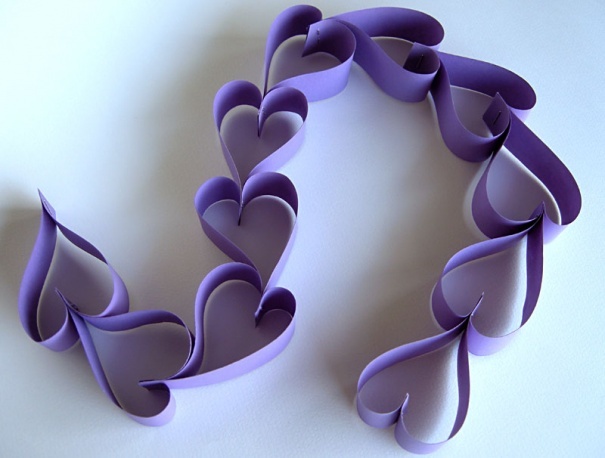 See the tutorial how to make these beautiful things here. Do you have a lot of printed books with hardcovers? Then this idea suits your perfectly. 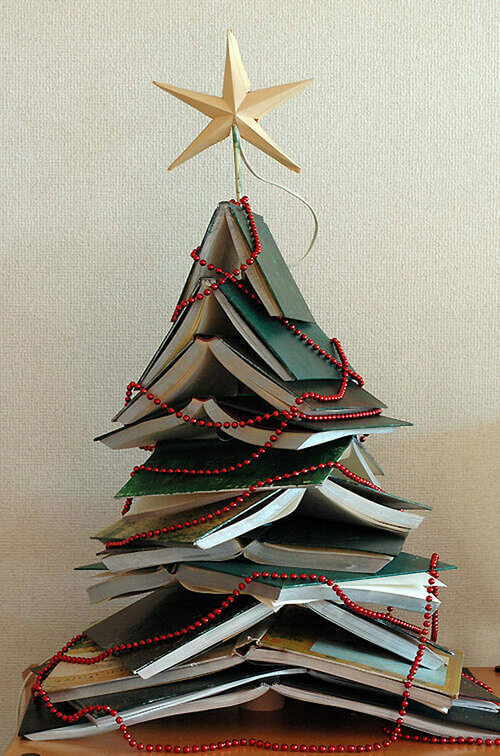 Paint the hardcovers green and pile them in the form of a Christmas tree. Add a star and beads to give it more authenticity. 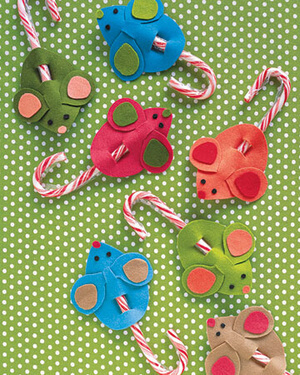 Turn your candy canes into cute little mice. Watch the video instruction here and treat your kids with such sweet gifts. 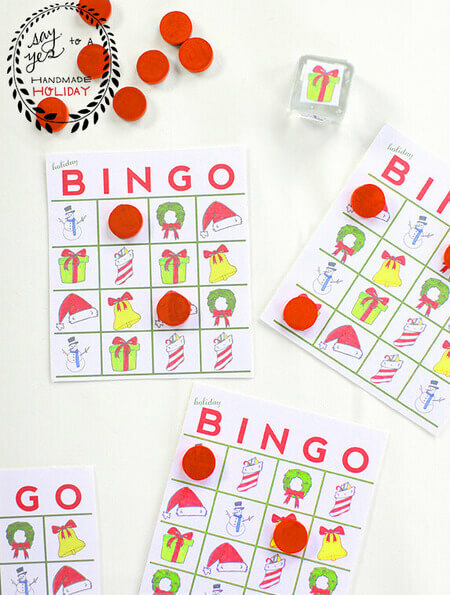 Play holiday version of popular bingo game with your kids and guests. Download the PDF template here, print it and enjoy playing! 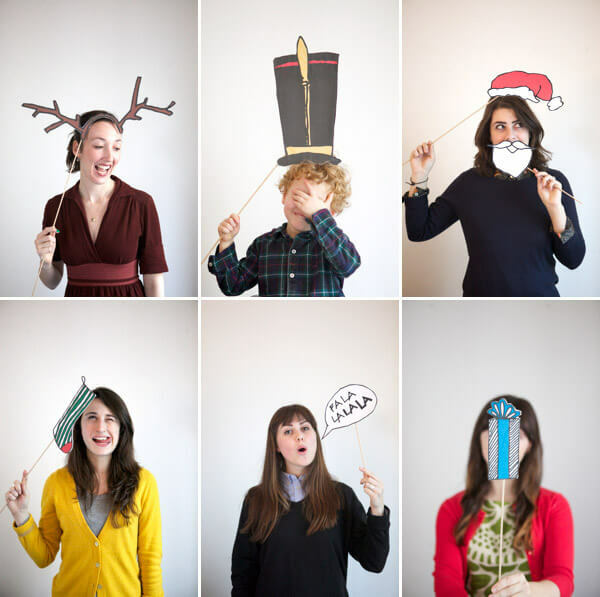 You needn’t buy funny props for Christmas photo session, as everything can be easily made by yourself. Get the printable here, print the props and paint them. 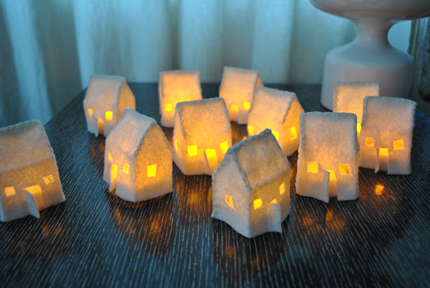 If you have some felt and a couple of LED tea lights, you may create these lovely little houses. Go here and find the tutorial and template.